Hey all you stylistas out there! I’m Bari from How Hard I Tri. 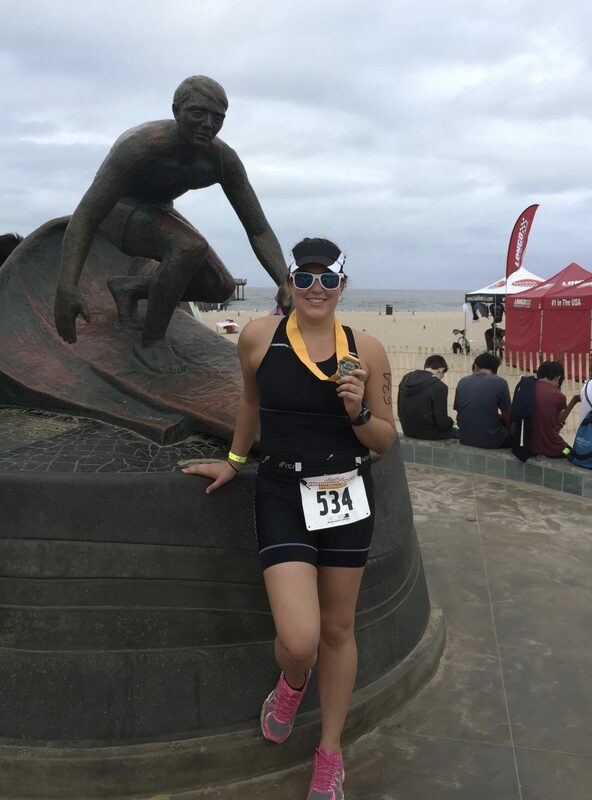 I’m a fitness enthusiast, certified in Schwinn cycling, marathoner, triathlete and when I’m not working out, I’m a speech-language pathologist. I’m so excited to be guest blogging on Kim’s blog and sharing my tips for running your first (or 100th) 5k. A 5k (kilometers), consists of 3.1 miles. You can do it anywhere, anytime, with anyone (or not). Feeling overwhelmed? Woah! don’t worry, I got you. Continue reading for my top tips on how to crush it. Find a local 5k or fun run in your neighborhood to have a goal to work towards. This gives you something to look forward to and makes it official. Also the adrenaline from the crowd and fellow athletes is invigorating. When all is said and done, that race t-shirt/finisher medal you’ll be sporting means you’re a runner! Not into races? No problem, set a date that you want to achieve your 3.1 miles by. Accountability is key. The hardest part sometimes, is showing up and getting out there. So make a date with a friend or plug in some tunes and get out there. 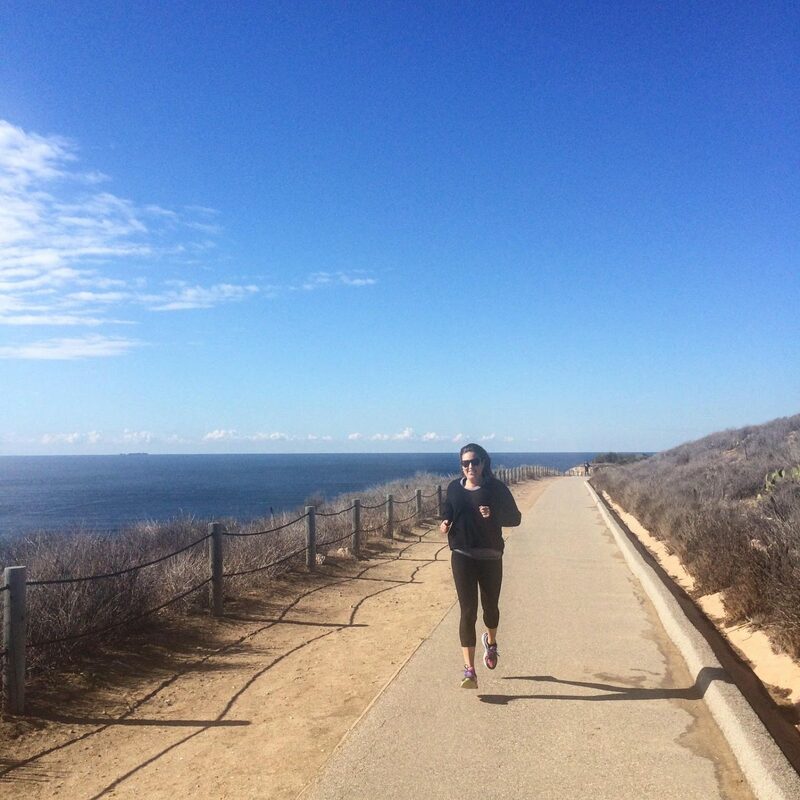 For me, living in sunny California, it’s easy all your round to head outside for a jog. If you made poor life choices live somewhere that has colder, more unfavorable weather, find a place with a treadmill, bundle up or choose the warmest time of day to head out for your run. Honestly, you should really just find the best time that works for you and your schedule and adapt to the environment accordingly. Whatever it takes to just get you out there or motivated- do it! Depending on your current level of fitness, you will want to find a training program that works best for you. New to fitness/running? You should leave about 7-10 weeks before race day to train and try to get out for a run at least 3-4 days a week. My beginners: don’t worry about running the entire time, there is NO rule against walking. There is also NO rule about how fast you need to be. As long as you’re moving, you’re doing great! With running there are SO many options! And the best thing about running is that it’s FREE ( so sensible 😉 ). Jog for the entirety, run/jog until tired then walk or use a run/walk method, slowly increasing the time that you are running vs walking. i.e. run 15 seconds/walk 45, run 4 minutes/walk 2, etc. Head out the door for about 20-40 minutes. Starting with a shorter duration of time and increasing to longer durations. It should be noted that you should NOT be breathless during these runs, they’re not sprints. You should be able to have a conversation. Here are 2 good resources for training programs that I’ve heard great reviews about: Hal Higdon and Couch to 5k. (I’ve used Hal Higdon’s training for marathon and triathlon training before and think he has a great, comprehensive program). I need to tell myself this one more often because I don’t do it enough. Rest is JUST as important as the training. Your muscles need the time to recover from all the work they are putting in. Proper training and rest will also help prevent the likelihood of injuries. In between days you are running, I would suggest a complete rest day (bubble bath, here I come!) or cross training. Maybe lift some weights, do yoga, go for a leisure bike ride, walk or just stretch! It is important you are eating enough to help your muscles recover and to maintain energy. What you eat during training should also be what you eat before the 5k on race day. For example, if a banana and nut butter is your jam before a run, don’t eat a bacon and egg sandwich on race day. The beauty of allowing yourself multiple weeks to train allows you to find what fuel works best for you. 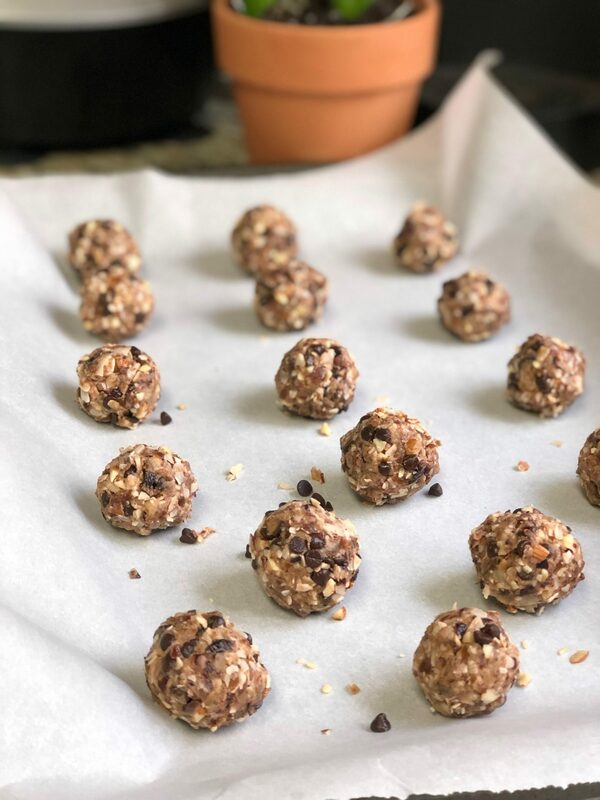 Some of my personal favorite go-to’s before a run include these homemade protein bites, RxBars and a banana. After my run, I will often have a smoothie or a meal depending on the time of day. My smoothies usually consist of fruit, almond milk, chia seeds, some sort of protein (I like NowFoods) and Vital Proteins collagen. I also take a few supplements each night to help with muscle recovery. I should note that running is an unpredictable sport as is the actual race day. Some days you wake up and feel great, other days you don’t. Sometimes the weather is on your side, sometimes there’s a torrential downpour. If all else fails, put on your cutest workout outfit and head out for the race. Regardless of how your training goes, you should be proud of yourself for taking the initiative and getting out there. Stepping out of our comfort zones is hard to do. So wear that race t-shirt/medal proudly- you did it! What race are you signing up for? 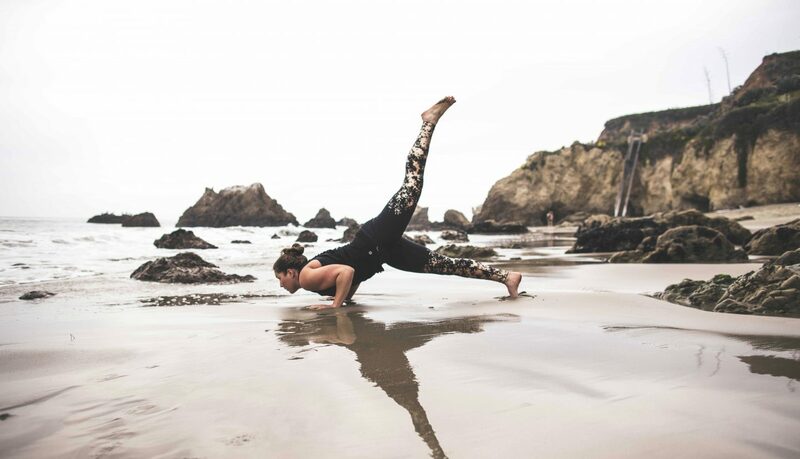 What fitness goals are you crushing this year? Let me know by leaving a comment below. To see more recipes, lifestyle posts and to read more about my race regimens, check out my blog, How Hard I Tri. I love this! I’ve been doing 5ks for a couple of years after a life of vowing I was not a runner. Currently training for the Cherry Blossom 10 Miler 😬. I’ve definitely gotten faster, but am going for stamina rather than speed! <3 I'm so glad you enjoyed Bari's post! She's absolutely amazing. Oooh. Good luck on that 10 miler. Same training tips can go for longer distances as well! You got this!! !